How do I Choose the Best Ceiling Lighting Fixtures? Hanging lights are popular in modern kitchens. 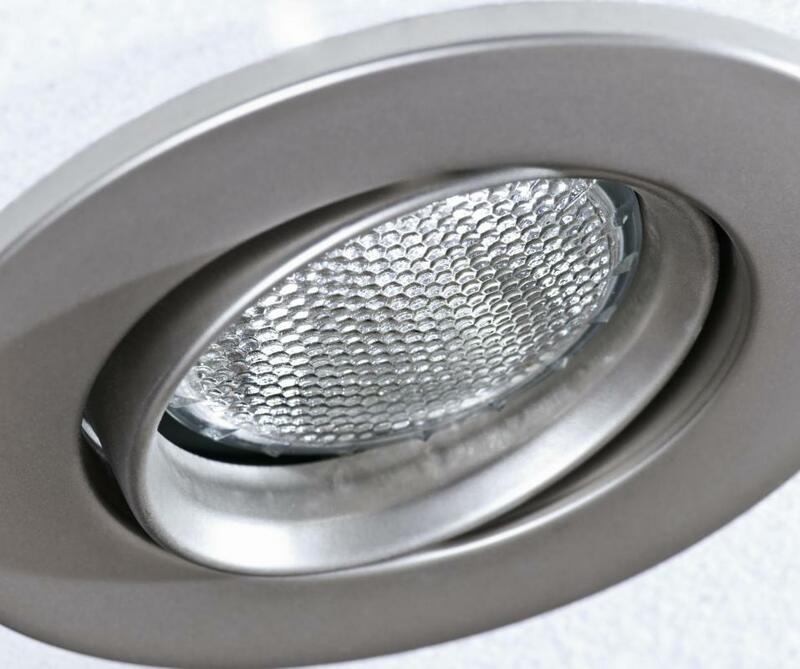 Recessed lighting fixtures are embedded into the ceiling to provide low-profile illumination. Choosing the best ceiling lighting fixtures for your home means analyzing the requirements of each room. Some kinds of ceiling lights offer task lighting, while others are more for creating a mood and providing enough light for people to comfortably get from one room to another. When selecting ceiling light fixtures, it's also important to choose ones that coordinate with the home's overall design to allow for possible interior decor changes. Simple, yet attractive ceiling lights that are versatile enough to coordinate with different decor styles are best. In case the home is up for sale or a remodeling project is planned, tasteful ceiling lighting fixtures can then remain without having to be changed. More creative or colorful lights could still be selected in non-permanent floor and table lamps as these are freestanding types of lighting that are easy to change. 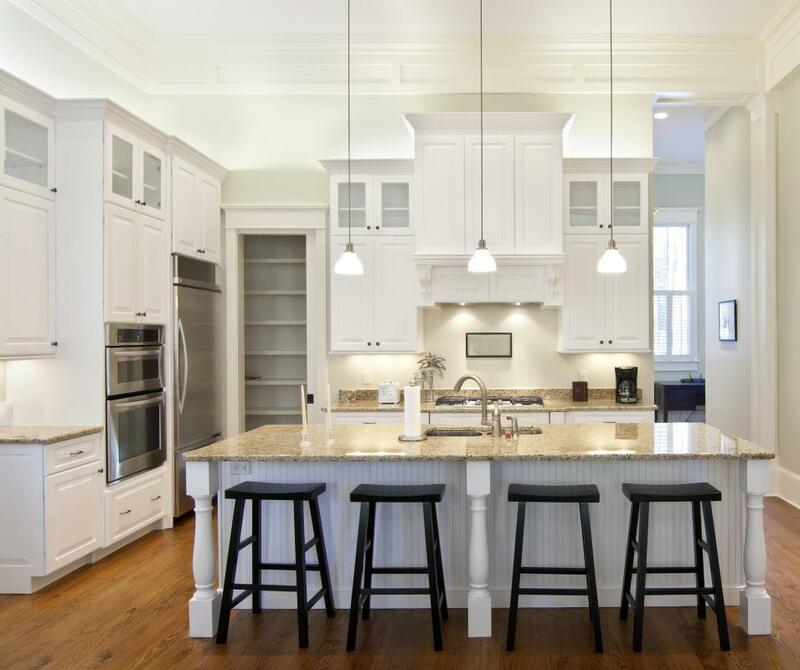 In kitchens, track or pendant lights rather than recessed or flush ceiling fixtures are usually the best choice. Track lights consist of individual, metal bulb holders that fit onto strips of tracking installed on the ceiling. Placed over a kitchen counter, track lights can give excellent illumination for food preparation and reading recipes. The separate lights on track ceiling lighting can be swiveled to provide an even sharper focus; this quality makes them ideal for home office use as well. Pendant lights are other popular choices for offices and kitchens because the hanging chain, pipe or cord allows the lamp to be close to the surface of the desk or counter. Since the hanging section is as noticeable as the lamp part, these types of ceiling lighting fixtures tend to add a decorative as well as practical element to any room. Smaller pendant lamps grouped together in a row should be spaced an ample distance apart to avoid an over-cluttered look. For living or dining rooms, or other spaces in which mood rather than task lighting is desired, recessed lights can be a good choice. They must, however, be installed up into the ceiling, as the bulbs for recessed lights aren't always the most energy efficient choice. A group of can or recessed ceiling lighting fixtures will often attractively showcase a sloped ceiling by creating a star-like effect. Ceiling lighting fixtures that are flush are best for hallways or rooms in which other lamps are used. Lights that are flush to the ceiling tend to light the upper part of rooms much more than the lower living space. Depending on your preference and decor, you may want to choose either dish or box flush fixtures. If you have a traditional overall decor, lantern or dish-shaped flush lighting fixtures tend to be a good choice, while round or square metal framed ceiling lights may be a better pick for contemporary homes. What Are the Different Types of Track Lighting Fixtures? What Are the Different Types of Pendant Foyer Lighting? What are the Different Types of Kitchen Lighting? What are the Different Types of Designer Lighting? What Is a Recessed Ceiling?